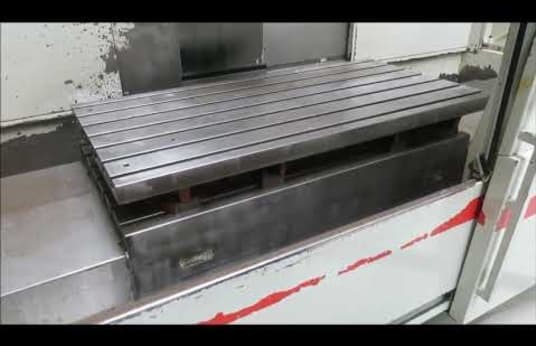 CNC milling machine - CNC HEIDENHAIN TNC 415 - enclosure x-way 1200 mm y-way 600 mm z-way 600 mm Table surface 1300 x 700 mm Max. Workpiece weight 2500 kg Tool holder SK 40 Spindle motor 11 kW Spindle speeds 6300 rpm Feed range 4000 mm / min Rapid traverse 8000 mm / min Total power requirement 36 kW Machine weight approx. 8.8 t ! !In the moment machine is only running in manual mode!! ! !It is not possible to approach the reference points! !